"Antibacterial" redirects here. For other uses, see Antibacterial (disambiguation). This article is about treatment of bacterial infection. For anti-tumor antibiotics, see Chemotherapy § Cytotoxic antibiotics. Testing the susceptibility of Staphylococcus aureus to antibiotics by the Kirby-Bauer disk diffusion method – antibiotics diffuse from antibiotic-containing disks and inhibit growth of S. aureus, resulting in a zone of inhibition. Sometimes, the term antibiotic which means "opposing life", based on Greek roots, (ἀντι-) anti: "against" and (βίος-) biotic: "life", is broadly used to refer to any substance used against microbes, but in the usual medical usage, antibiotics (such as penicillin) are those produced naturally (by one microorganism fighting another), whereas nonantibiotic antibacterials (such as sulfonamides and antiseptics) are fully synthetic. However, both classes have the same goal of killing or preventing the growth of microorganisms, and both are included in antimicrobial chemotherapy. "Antibacterials" include antiseptic drugs, antibacterial soaps, and chemical disinfectants, whereas antibiotics are an important class of antibacterials used more specifically in medicine and sometimes in livestock feed. There's evidence of antibiotic use since ancient times. Many civilizations used topical application of mouldy bread, with many references to its beneficial effects arising from ancient Egypt, China, Serbia, Greece and Rome. The first person to directly document the use of moulds to treat infections was John Parkinson (1567–1650). Antibiotics truly revolutionized medicine in the 20th century. 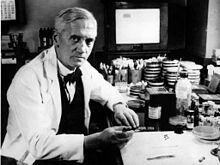 Alexander Fleming (1881–1955) discovered modern day penicillin in 1928. After realizing the great potential there was in penicillin, Fleming pursued the challenge of how to market it and translate it to commercial use. With help from other biochemists, penicillin was finally available for widespread use. This was significantly beneficial during wartime. Unfortunately, it didn't take long for resistance to begin. Effectiveness and easy access have also led to their overuse and some bacteria have developed resistance. This has led to widespread problems, and the World Health Organization have classified antimicrobial resistance as a "serious threat [that] is no longer a prediction for the future, it is happening right now in every region of the world and has the potential to affect anyone, of any age, in any country". Antibiotics are used to treat or prevent bacterial infections, and sometimes protozoan infections. (Metronidazole is effective against a number of parasitic diseases). When an infection is suspected of being responsible for an illness but the responsible pathogen has not been identified, an empiric therapy is adopted. This involves the administration of a broad-spectrum antibiotic based on the signs and symptoms presented and is initiated pending laboratory results that can take several days. When the responsible pathogenic microorganism is already known or has been identified, definitive therapy can be started. This will usually involve the use of a narrow-spectrum antibiotic. The choice of antibiotic given will also be based on its cost. Identification is critically important as it can reduce the cost and toxicity of the antibiotic therapy and also reduce the possibility of the emergence of antimicrobial resistance. To avoid surgery, antibiotics may be given for non-complicated acute appendicitis. Antibiotics may be given as a preventive measure and this is usually limited to at-risk populations such as those with a weakened immune system (particularly in HIV cases to prevent pneumonia), those taking immunosuppressive drugs, cancer patients, and those having surgery. Their use in surgical procedures is to help prevent infection of incisions. They have an important role in dental antibiotic prophylaxis where their use may prevent bacteremia and consequent infective endocarditis. Antibiotics are also used to prevent infection in cases of neutropenia particularly cancer-related. There are many different routes of administration for antibiotic treatment. Antibiotics are usually taken by mouth. In more severe cases, particularly deep-seated systemic infections, antibiotics can be given intravenously or by injection. Where the site of infection is easily accessed, antibiotics may be given topically in the form of eye drops onto the conjunctiva for conjunctivitis or ear drops for ear infections and acute cases of swimmer's ear. Topical use is also one of the treatment options for some skin conditions including acne and cellulitis. Advantages of topical application include achieving high and sustained concentration of antibiotic at the site of infection; reducing the potential for systemic absorption and toxicity, and total volumes of antibiotic required are reduced, thereby also reducing the risk of antibiotic misuse. Topical antibiotics applied over certain types of surgical wounds have been reported to reduce the risk of surgical site infections. However, there are certain general causes for concern with topical administration of antibiotics. Some systemic absorption of the antibiotic may occur; the quantity of antibiotic applied is difficult to accurately dose, and there is also the possibility of local hypersensitivity reactions or contact dermatitis occurring. Antibiotic consumption varies widely between countries. The ‘WHO report on surveillance of antibiotic consumption’ published in 2018 analysed 2015 data from 65 countries. As measured in defined daily doses per 1,000 inhabitants per day. Mongolia had the highest consumption with a rate of 64.4. Burundi had the lowest at 4.4. Amoxicillin and Amoxicillin/clavulanic acid were the most frequently consumed. Health advocacy messages such as this one encourage patients to talk with their doctor about safety in using antibiotics. Antibiotics are screened for any negative effects before their approval for clinical use, and are usually considered safe and well tolerated. However, some antibiotics have been associated with a wide extent of adverse side effects ranging from mild to very severe depending on the type of antibiotic used, the microbes targeted, and the individual patient. Side effects may reflect the pharmacological or toxicological properties of the antibiotic or may involve hypersensitivity or allergic reactions. Adverse effects range from fever and nausea to major allergic reactions, including photodermatitis and anaphylaxis. Safety profiles of newer drugs are often not as well established as for those that have a long history of use. Common side-effects include diarrhea, resulting from disruption of the species composition in the intestinal flora, resulting, for example, in overgrowth of pathogenic bacteria, such as Clostridium difficile. Antibacterials can also affect the vaginal flora, and may lead to overgrowth of yeast species of the genus Candida in the vulvo-vaginal area. Additional side-effects can result from interaction with other drugs, such as the possibility of tendon damage from the administration of a quinolone antibiotic with a systemic corticosteroid. Exposure to antibiotics early in life is associated with increased body mass in humans and mouse models. Early life is a critical period for the establishment of the intestinal microbiota and for metabolic development. Mice exposed to subtherapeutic antibiotic treatment (STAT)– with either penicillin, vancomycin, or chlortetracycline had altered composition of the gut microbiota as well as its metabolic capabilities. One study has reported that mice given low-dose penicillin (1 μg/g body weight) around birth and throughout the weaning process had an increased body mass and fat mass, accelerated growth, and increased hepatic expression of genes involved in adipogenesis, compared to control mice. In addition, penicillin in combination with a high-fat diet increased fasting insulin levels in mice. However, it is unclear whether or not antibiotics cause obesity in humans. Studies have found a correlation between early exposure of antibiotics (<6 months) and increased body mass (at 10 and 20 months). Another study found that the type of antibiotic exposure was also significant with the highest risk of being overweight in those given macrolides compared to penicillin and cephalosporin. Therefore, there is correlation between antibiotic exposure in early life and obesity in humans, but whether or not there is a causal relationship remains unclear. Although there is a correlation between antibiotic use in early life and obesity, the effect of antibiotics on obesity in humans needs to be weighed against the beneficial effects of clinically indicated treatment with antibiotics in infancy. There are few well-controlled studies on whether antibiotic use increases the risk of oral contraceptive failure. The majority of studies indicate antibiotics do not interfere with birth control pills, such as clinical studies that suggest the failure rate of contraceptive pills caused by antibiotics is very low (about 1%). Situations that may increase the risk of oral contraceptive failure include non-compliance (missing taking the pill), vomiting, or diarrhea. Gastrointestinal disorders or interpatient variability in oral contraceptive absorption affecting ethinylestradiol serum levels in the blood. Women with menstrual irregularities may be at higher risk of failure and should be advised to use backup contraception during antibiotic treatment and for one week after its completion. If patient-specific risk factors for reduced oral contraceptive efficacy are suspected, backup contraception is recommended. In cases where antibiotics have been suggested to affect the efficiency of birth control pills, such as for the broad-spectrum antibiotic rifampicin, these cases may be due to an increase in the activities of hepatic liver enzymes' causing increased breakdown of the pill's active ingredients. Effects on the intestinal flora, which might result in reduced absorption of estrogens in the colon, have also been suggested, but such suggestions have been inconclusive and controversial. Clinicians have recommended that extra contraceptive measures be applied during therapies using antibiotics that are suspected to interact with oral contraceptives. More studies on the possible interactions between antibiotics and birth control pills (oral contraceptives) are required as well as careful assessment of patient-specific risk factors for potential oral contractive pill failure prior to dismissing the need for backup contraception. Interactions between alcohol and certain antibiotics may occur and may cause side-effects and decreased effectiveness of antibiotic therapy. While moderate alcohol consumption is unlikely to interfere with many common antibiotics, there are specific types of antibiotics, with which alcohol consumption may cause serious side-effects. Therefore, potential risks of side-effects and effectiveness depend on the type of antibiotic administered. Antibiotics such as metronidazole, tinidazole, cephamandole, latamoxef, cefoperazone, cefmenoxime, and furazolidone, cause a disulfiram-like chemical reaction with alcohol by inhibiting its breakdown by acetaldehyde dehydrogenase, which may result in vomiting, nausea, and shortness of breath. In addition, the efficacy of doxycycline and erythromycin succinate may be reduced by alcohol consumption. Other effects of alcohol on antibiotic activity include altered activity of the liver enzymes that break down the antibiotic compound. However, red wine with a high degree of polyphenols demonstrates in-vitro antibacterial properties. In important infectious diseases, including tuberculosis, combination therapy (i.e., the concurrent application of two or more antibiotics) has been used to delay or prevent the emergence of resistance. In acute bacterial infections, antibiotics as part of combination therapy are prescribed for their synergistic effects to improve treatment outcome as the combined effect of both antibiotics is better than their individual effect. Methicillin-resistant Staphylococcus aureus infections may be treated with a combination therapy of fusidic acid and rifampicin. Antibiotics used in combination may also be antagonistic and the combined effects of the two antibiotics may be less than if the individual antibiotic was given as part of a monotherapy. For example, chloramphenicol and tetracyclines are antagonists to penicillins and aminoglycosides. However, this can vary depending on the species of bacteria. In general, combinations of a bacteriostatic antibiotic and bactericidal antibiotic are antagonistic. Antibiotics are commonly classified based on their mechanism of action, chemical structure, or spectrum of activity. Most target bacterial functions or growth processes. Those that target the bacterial cell wall (penicillins and cephalosporins) or the cell membrane (polymyxins), or interfere with essential bacterial enzymes (rifamycins, lipiarmycins, quinolones, and sulfonamides) have bactericidal activities. Protein synthesis inhibitors (macrolides, lincosamides, and tetracyclines) are usually bacteriostatic (with the exception of bactericidal aminoglycosides). Further categorization is based on their target specificity. "Narrow-spectrum" antibiotics target specific types of bacteria, such as gram-negative or gram-positive, whereas broad-spectrum antibiotics affect a wide range of bacteria. Following a 40-year break in discovering new classes of antibacterial compounds, four new classes of antibiotics have been brought into clinical use in the late 2000s and early 2010s: cyclic lipopeptides (such as daptomycin), glycylcyclines (such as tigecycline), oxazolidinones (such as linezolid), and lipiarmycins (such as fidaxomicin). With advances in medicinal chemistry, most modern antibacterials are semisynthetic modifications of various natural compounds. These include, for example, the beta-lactam antibiotics, which include the penicillins (produced by fungi in the genus Penicillium), the cephalosporins, and the carbapenems. Compounds that are still isolated from living organisms are the aminoglycosides, whereas other antibacterials—for example, the sulfonamides, the quinolones, and the oxazolidinones—are produced solely by chemical synthesis. Many antibacterial compounds are relatively small molecules with a molecular weight of less than 1000 daltons. Since the first pioneering efforts of Howard Florey and Chain in 1939, the importance of antibiotics, including antibacterials, to medicine has led to intense research into producing antibacterials at large scales. Following screening of antibacterials against a wide range of bacteria, production of the active compounds is carried out using fermentation, usually in strongly aerobic conditions. The emergence of resistance of bacteria to antibiotics is a common phenomenon. Emergence of resistance often reflects evolutionary processes that take place during antibiotic therapy. The antibiotic treatment may select for bacterial strains with physiologically or genetically enhanced capacity to survive high doses of antibiotics. Under certain conditions, it may result in preferential growth of resistant bacteria, while growth of susceptible bacteria is inhibited by the drug. For example, antibacterial selection for strains having previously acquired antibacterial-resistance genes was demonstrated in 1943 by the Luria–Delbrück experiment. Antibiotics such as penicillin and erythromycin, which used to have a high efficacy against many bacterial species and strains, have become less effective, due to the increased resistance of many bacterial strains. Resistance may take the form of biodegredation of pharmaceuticals, such as sulfamethazine-degrading soil bacteria introduced to sulfamethazine through medicated pig feces. The survival of bacteria often results from an inheritable resistance, but the growth of resistance to antibacterials also occurs through horizontal gene transfer. Horizontal transfer is more likely to happen in locations of frequent antibiotic use. Antibacterial resistance may impose a biological cost, thereby reducing fitness of resistant strains, which can limit the spread of antibacterial-resistant bacteria, for example, in the absence of antibacterial compounds. Additional mutations, however, may compensate for this fitness cost and can aid the survival of these bacteria. Paleontological data show that both antibiotics and antibiotic resistance are ancient compounds and mechanisms. Useful antibiotic targets are those for which mutations negatively impact bacterial reproduction or viability. Several molecular mechanisms of antibacterial resistance exist. Intrinsic antibacterial resistance may be part of the genetic makeup of bacterial strains. For example, an antibiotic target may be absent from the bacterial genome. Acquired resistance results from a mutation in the bacterial chromosome or the acquisition of extra-chromosomal DNA. Antibacterial-producing bacteria have evolved resistance mechanisms that have been shown to be similar to, and may have been transferred to, antibacterial-resistant strains. The spread of antibacterial resistance often occurs through vertical transmission of mutations during growth and by genetic recombination of DNA by horizontal genetic exchange. For instance, antibacterial resistance genes can be exchanged between different bacterial strains or species via plasmids that carry these resistance genes. Plasmids that carry several different resistance genes can confer resistance to multiple antibacterials. Cross-resistance to several antibacterials may also occur when a resistance mechanism encoded by a single gene conveys resistance to more than one antibacterial compound. Antibacterial-resistant strains and species, sometimes referred to as "superbugs", now contribute to the emergence of diseases that were for a while well controlled. For example, emergent bacterial strains causing tuberculosis that are resistant to previously effective antibacterial treatments pose many therapeutic challenges. Every year, nearly half a million new cases of multidrug-resistant tuberculosis (MDR-TB) are estimated to occur worldwide. For example, NDM-1 is a newly identified enzyme conveying bacterial resistance to a broad range of beta-lactam antibacterials. The United Kingdom's Health Protection Agency has stated that "most isolates with NDM-1 enzyme are resistant to all standard intravenous antibiotics for treatment of severe infections." On 26 May 2016 an E coli bacteria "superbug" was identified in the United States resistant to colistin, "the last line of defence" antibiotic. This poster from the US Centers for Disease Control and Prevention "Get Smart" campaign, intended for use in doctors' offices and other healthcare facilities, warns that antibiotics do not work for viral illnesses such as the common cold. Per The ICU Book "The first rule of antibiotics is try not to use them, and the second rule is try not to use too many of them." Inappropriate antibiotic treatment and overuse of antibiotics have contributed to the emergence of antibiotic-resistant bacteria. Self-prescribing of antibiotics is an example of misuse. Many antibiotics are frequently prescribed to treat symptoms or diseases that do not respond to antibiotics or that are likely to resolve without treatment. Also, incorrect or suboptimal antibiotics are prescribed for certain bacterial infections. The overuse of antibiotics, like penicillin and erythromycin, has been associated with emerging antibiotic resistance since the 1950s. Widespread usage of antibiotics in hospitals has also been associated with increases in bacterial strains and species that no longer respond to treatment with the most common antibiotics. Common forms of antibiotic misuse include excessive use of prophylactic antibiotics in travelers and failure of medical professionals to prescribe the correct dosage of antibiotics on the basis of the patient's weight and history of prior use. Other forms of misuse include failure to take the entire prescribed course of the antibiotic, incorrect dosage and administration, or failure to rest for sufficient recovery. Inappropriate antibiotic treatment, for example, is their prescription to treat viral infections such as the common cold. One study on respiratory tract infections found "physicians were more likely to prescribe antibiotics to patients who appeared to expect them". Multifactorial interventions aimed at both physicians and patients can reduce inappropriate prescription of antibiotics. Several organizations concerned with antimicrobial resistance are lobbying to eliminate the unnecessary use of antibiotics. The issues of misuse and overuse of antibiotics have been addressed by the formation of the US Interagency Task Force on Antimicrobial Resistance. This task force aims to actively address antimicrobial resistance, and is coordinated by the US Centers for Disease Control and Prevention, the Food and Drug Administration (FDA), and the National Institutes of Health (NIH), as well as other US agencies. An NGO campaign group is Keep Antibiotics Working. In France, an "Antibiotics are not automatic" government campaign started in 2002 and led to a marked reduction of unnecessary antibiotic prescriptions, especially in children. The emergence of antibiotic resistance has prompted restrictions on their use in the UK in 1970 (Swann report 1969), and the EU has banned the use of antibiotics as growth-promotional agents since 2003. Moreover, several organizations (including the World Health Organization, the National Academy of Sciences, and the U.S. Food and Drug Administration) have advocated restricting the amount of antibiotic use in food animal production. However, commonly there are delays in regulatory and legislative actions to limit the use of antibiotics, attributable partly to resistance against such regulation by industries using or selling antibiotics, and to the time required for research to test causal links between their use and resistance to them. Two federal bills (S.742 and H.R. 2562) aimed at phasing out nontherapeutic use of antibiotics in US food animals were proposed, but have not passed. These bills were endorsed by public health and medical organizations, including the American Holistic Nurses' Association, the American Medical Association, and the American Public Health Association (APHA). Despite pledges by food companies and restaurants to reduce or eliminate meat that comes from animals treated with antibiotics, the purchase of antibiotics for use on farm animals has been increasing every year. There has been extensive use of antibiotics in animal husbandry. In the United States, the question of emergence of antibiotic-resistant bacterial strains due to use of antibiotics in livestock was raised by the US Food and Drug Administration (FDA) in 1977. In March 2012, the United States District Court for the Southern District of New York, ruling in an action brought by the Natural Resources Defense Council and others, ordered the FDA to revoke approvals for the use of antibiotics in livestock, which violated FDA regulations. Before the early 20th century, treatments for infections were based primarily on medicinal folklore. Mixtures with antimicrobial properties that were used in treatments of infections were described over 2,000 years ago. Many ancient cultures, including the ancient Egyptians and ancient Greeks, used specially selected mold and plant materials and extracts to treat infections. The use of antibiotics in modern medicine began with the discovery of synthetic antibiotics derived from dyes. Arsphenamine, also known as salvarsan, discovered in 1907 by Paul Ehrlich. Synthetic antibiotic chemotherapy as a science and development of antibacterials began in Germany with Paul Ehrlich in the late 1880s. Ehrlich noted certain dyes would color human, animal, or bacterial cells, whereas others did not. He then proposed the idea that it might be possible to create chemicals that would act as a selective drug that would bind to and kill bacteria without harming the human host. After screening hundreds of dyes against various organisms, in 1907, he discovered a medicinally useful drug, the first synthetic antibacterial salvarsan now called arsphenamine. The era of antibacterial treatment began with the discoveries of arsenic-derived synthetic antibiotics by Alfred Bertheim and Ehrlich in 1907. Ehrlich and Bertheim experimented with various chemicals derived from dyes to treat trypanosomiasis in mice and spirochaeta infection in rabbits. 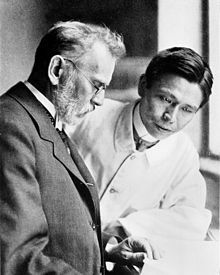 While their early compounds were too toxic, Ehrlich and Sahachiro Hata, a Japanese bacteriologist working with Erlich in the quest for a drug to treat syphilis, achieved success with the 606th compound in their series of experiments. In 1910 Ehrlich and Hata announced their discovery, which they called drug "606", at the Congress for Internal Medicine at Wiesbaden. The Hoechst company began to market the compound toward the end of 1910 under the name Salvarsan. This drug is now known as arsphenamine. The drug was used to treat syphilis in the first half of the 20th century. In 1908, Ehrlich received the Nobel Prize in Physiology or Medicine for his contributions to immunology. Hata was nominated for the Nobel Prize in Chemistry in 1911 and for the Nobel Prize in Physiology or Medicine in 1912 and 1913. The first sulfonamide and the first systemically active antibacterial drug, Prontosil, was developed by a research team led by Gerhard Domagk in 1932 or 1933 at the Bayer Laboratories of the IG Farben conglomerate in Germany, for which Domagk received the 1939 Nobel Prize in Physiology or Medicine. Sulfanilamide, the active drug of Prontosil, was not patentable as it had already been in use in the dye industry for some years. Prontosil had a relatively broad effect against Gram-positive cocci, but not against enterobacteria. Research was stimulated apace by its success. The discovery and development of this sulfonamide drug opened the era of antibacterials. Observations about the growth of some microorganisms inhibiting the growth of other microorganisms have been reported since the late 19th century. These observations of antibiosis between microorganisms led to the discovery of natural antibacterials. Louis Pasteur observed, "if we could intervene in the antagonism observed between some bacteria, it would offer perhaps the greatest hopes for therapeutics". In 1874, physician Sir William Roberts noted that cultures of the mold Penicillium glaucum that is used in the making of some types of blue cheese did not display bacterial contamination. In 1876, physicist John Tyndall also contributed to this field. Pasteur conducted research showing that Bacillus anthracis would not grow in the presence of the related mold Penicillium notatum. In 1895 Vincenzo Tiberio, Italian physician, published a paper on the antibacterial power of some extracts of mold. In 1897, doctoral student Ernest Duchesne submitted a dissertation, "Contribution à l'étude de la concurrence vitale chez les micro-organismes: antagonisme entre les moisissures et les microbes" (Contribution to the study of vital competition in micro-organisms: antagonism between molds and microbes), the first known scholarly work to consider the therapeutic capabilities of molds resulting from their anti-microbial activity. In his thesis, Duchesne proposed that bacteria and molds engage in a perpetual battle for survival. Duchesne observed that E. coli was eliminated by Penicillium glaucum when they were both grown in the same culture. He also observed that when he inoculated laboratory animals with lethal doses of typhoid bacilli together with Penicillium glaucum, the animals did not contract typhoid. Unfortunately Duchesne's army service after getting his degree prevented him from doing any further research. Duchesne died of tuberculosis, a disease now treated by antibiotics. In 1928, Sir Alexander Fleming postulated the existence of penicillin, a molecule produced by certain molds that kills or stops the growth of certain kinds of bacteria. 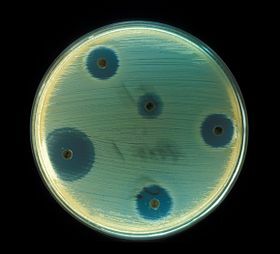 Fleming was working on a culture of disease-causing bacteria when he noticed the spores of a green mold, Penicillium chrysogenum, in one of his culture plates. He observed that the presence of the mold killed or prevented the growth of the bacteria. Fleming postulated that the mold must secrete an antibacterial substance, which he named penicillin in 1928. Fleming believed that its antibacterial properties could be exploited for chemotherapy. He initially characterized some of its biological properties, and attempted to use a crude preparation to treat some infections, but he was unable to pursue its further development without the aid of trained chemists. Ernst Chain, Howard Florey and Edward Abraham succeeded in purifying the first penicillin, penicillin G, in 1942, but it did not become widely available outside the Allied military before 1945. Later, Norman Heatley developed the back extraction technique for efficiently purifying penicillin in bulk. The chemical structure of penicillin was first proposed by Abraham in 1942 and then later confirmed by Dorothy Crowfoot Hodgkin in 1945. Purified penicillin displayed potent antibacterial activity against a wide range of bacteria and had low toxicity in humans. Furthermore, its activity was not inhibited by biological constituents such as pus, unlike the synthetic sulfonamides. (see below) The development of penicillin led to renewed interest in the search for antibiotic compounds with similar efficacy and safety. For their successful development of penicillin, which Fleming had accidentally discovered but could not develop himself, as a therapeutic drug, Chain and Florey shared the 1945 Nobel Prize in Medicine with Fleming. Florey credited Rene Dubos with pioneering the approach of deliberately and systematically searching for antibacterial compounds, which had led to the discovery of gramicidin and had revived Florey's research in penicillin. In 1939, coinciding with the start of World War II, Dubos had reported the discovery of the first naturally derived antibiotic, tyrothricin, a compound of 20% gramicidin and 80% tyrocidine, from B. brevis. It was one of the first commercially manufactured antibiotics and was very effective in treating wounds and ulcers during World War II. Gramicidin, however, could not be used systemically because of toxicity. Tyrocidine also proved too toxic for systemic usage. Research results obtained during that period were not shared between the Axis and the Allied powers during World War II and limited access during the Cold War. The term 'antibiosis', meaning "against life", was introduced by the French bacteriologist Jean Paul Vuillemin as a descriptive name of the phenomenon exhibited by these early antibacterial drugs. Antibiosis was first described in 1877 in bacteria when Louis Pasteur and Robert Koch observed that an airborne bacillus could inhibit the growth of Bacillus anthracis. These drugs were later renamed antibiotics by Selman Waksman, an American microbiologist, in 1942. The term antibiotic was first used in 1942 by Selman Waksman and his collaborators in journal articles to describe any substance produced by a microorganism that is antagonistic to the growth of other microorganisms in high dilution. This definition excluded substances that kill bacteria but that are not produced by microorganisms (such as gastric juices and hydrogen peroxide). It also excluded synthetic antibacterial compounds such as the sulfonamides. In current usage, the term "antibiotic" is applied to any medication that kills bacteria or inhibits their growth, regardless of whether that medication is produced by a microorganism or not. The term "antibiotic" derives from anti + βιωτικός (biōtikos), "fit for life, lively", which comes from βίωσις (biōsis), "way of life", and that from βίος (bios), "life". The term "antibacterial" derives from Greek ἀντί (anti), "against" + βακτήριον (baktērion), diminutive of βακτηρία (baktēria), "staff, cane", because the first bacteria to be discovered were rod-shaped. The increase in bacterial strains that are resistant to conventional antibacterial therapies together with decreasing number of new antibiotics currently being developed in the drug pipeline has prompted the development of bacterial disease treatment strategies that are alternatives to conventional antibacterials. Non-compound approaches (that is, products other than classical antibacterial agents) that target bacteria or approaches that target the host including phage therapy and vaccines are also being investigated to combat the problem. Metabolic stimuli such as sugar can help eradicate a certain type of antibiotic-tolerant bacteria by keeping their metabolism active. Vaccines rely on immune modulation or augmentation. Vaccination either excites or reinforces the immune competence of a host to ward off infection, leading to the activation of macrophages, the production of antibodies, inflammation, and other classic immune reactions. Antibacterial vaccines have been responsible for a drastic reduction in global bacterial diseases. Vaccines made from attenuated whole cells or lysates have been replaced largely by less reactogenic, cell-free vaccines consisting of purified components, including capsular polysaccharides and their conjugates, to protein carriers, as well as inactivated toxins (toxoids) and proteins. Phage therapy is another method for treating antibiotic-resistant strains of bacteria. Phage therapy infects pathogenic bacteria with their own viruses. Bacteriophages and their host ranges are extremely specific for certain bacteria, thus they do not disturb the host organism and intestinal microflora unlike antibiotics. Bacteriophages, also known simply as phages, infect and can kill bacteria and affect bacterial growth primarily during lytic cycles. Phages insert their DNA into the bacterium, where it is transcribed and used to make new phages, after which the cell will lyse, releasing new phage able to infect and destroy further bacteria of the same strain. The high specificity of phage protects "good" bacteria from destruction. However, some disadvantages to use of bacteriophages also exist. Bacteriophages may harbour virulence factors or toxic genes in their genomes and identification of genes with similarity to known virulence factors or toxins by genomic sequencing may be prudent prior to use. In addition, the oral and IV administration of phages for the eradication of bacterial infections poses a much higher safety risk than topical application, and there is the additional concern of uncertain immune responses to these large antigenic cocktails. There are considerable regulatory hurdles that must be cleared for such therapies. The use of bacteriophages as a replacement for antimicrobial agents against MDR pathogens no longer respond to conventional antibiotics remains an attractive option despite numerous challenges. Plants are an important source of antimicrobial compounds and traditional healers have long used plants to prevent or cure infectious diseases. There is a recent renewed interest into the use of natural products for the identification of new members of the 'antibiotic-ome' (defined as natural products with antibiotic activity), and their application in antibacterial drug discovery in the genomics era. Phytochemicals are the active biological component of plants and some phytochemicals including tannins, alkaloids, terpenoids, and flavonoids possess antimicrobial activity. Some antioxidant dietary supplements also contain phytochemicals (polyphenols), such as grape seed extract, and demonstrate in vitro anti-bacterial properties. Phytochemicals are able to inhibit peptidoglycan synthesis, damage microbial membrane structures, modify bacterial membrane surface hydrophobicity and also modulate quorum sensing. With increasing antibiotic resistance in recent years, the potential of new plant-derived antibiotics is under investigation. Both the WHO and the Infectious Disease Society of America (IDSA) reported that the weak antibiotic pipeline does not match bacteria's increasing ability to develop resistance. The IDSA report noted that the number of new antibiotics approved for marketing per year had been declining and identified seven antibiotics against the Gram-negative bacilli (GNB) currently in phase 2 or phase 3 clinical trials. These drugs however, did not address the entire spectrum of resistance of GNB. According to the WHO fifty one new therapeutic entities (NTEs) - antibiotics (including combinations), are in phase 1-3 clinical trials as of May 2017. Recent entries in the clinical pipeline targeting multidrug-resistant Gram-positive pathogens has improved the treatment options due to marketing approval of new antibiotic classes, the oxazolidinones and cyclic lipopeptides. However, resistance to these antibiotics is certainly likely to occur, the need for the development new antibiotics against those pathogens still remains a high priority. Recent drugs in development that target Gram-negative bacteria have focused on re-working existing drugs to target specific microorganisms or specific types of resistance. A few antibiotics have received marketing authorization in the last seven years. The cephalosporin ceftaroline and the lipoglycopeptides oritavancin and telavancin for the treatment of acute bacterial skin and skin structure infection and community-acquired bacterial pneumonia. The lipoglycopeptide dalbavancin and the oxazolidinone tedizolid has also been approved for use for the treatment of acute bacterial skin and skin structure infection. The first in a new class of narrow spectrum macrocyclic antibiotics, fidaxomicin, has been approved for the treatment of C. difficile colitis. New cephalosporin-lactamase inhibitor combinations also approved include ceftazidime-avibactam and ceftolozane-avibactam for complicated urinary tract infection and intra-abdominal infection. Ceftolozane/tazobactam (CXA-201; CXA-101/tazobactam): Antipseudomonal cephalosporin/β-lactamase inhibitor combination (cell wall synthesis inhibitor). FDA approved on 19 December 2014. Ceftazidime/avibactam (ceftazidime/NXL104): Antipseudomonal cephalosporin/β-lactamase inhibitor combination (cell wall synthesis inhibitor). In phase 3. Imipenem/MK-7655: Carbapenem/ β-lactamase inhibitor combination (cell wall synthesis inhibitor). In phase 2. Plazomicin (ACHN-490): Aminoglycoside (protein synthesis inhibitor). New Drug Application is under Priority Review by U.S. FDA. Eravacycline (TP-434): Synthetic tetracycline derivative / protein synthesis inhibitor targeting the ribosome. Development by Tetraphase, Phase 2 trials complete. Brilacidin (PMX-30063): Peptide defense protein mimetic (cell membrane disruption). In phase 2. Streptomyces research is expected to provide new antibiotics, including treatment against MRSA and infections resistant to commonly used medication. Efforts of John Innes Centre and universities in the UK, supported by BBSRC, resulted in the creation of spin-out companies, for example Novacta Biosystems, which has designed the type-b lantibiotic-based compound NVB302 (in phase 1) to treat Clostridium difficile infections. Possible improvements include clarification of clinical trial regulations by FDA. Furthermore, appropriate economic incentives could persuade pharmaceutical companies to invest in this endeavor. In the US, the Antibiotic Development to Advance Patient Treatment (ADAPT) Act was introduced with the aim of fast tracking the drug development of antibiotics to combat the growing threat of 'superbugs'. Under this Act, FDA can approve antibiotics and antifungals treating life-threatening infections based on smaller clinical trials. The CDC will monitor the use of antibiotics and the emerging resistance, and publish the data. The FDA antibiotics labeling process, 'Susceptibility Test Interpretive Criteria for Microbial Organisms' or 'breakpoints', will provide accurate data to healthcare professionals. According to Allan Coukell, senior director for health programs at The Pew Charitable Trusts, "By allowing drug developers to rely on smaller datasets, and clarifying FDA's authority to tolerate a higher level of uncertainty for these drugs when making a risk/benefit calculation, ADAPT would make the clinical trials more feasible." ^ a b c "Antibiotics". NHS. 5 June 2014. Retrieved 17 January 2015. ^ "Factsheet for experts". European Centre for Disease Prevention and Control. Retrieved 21 December 2014. ^ For example, metronidazole: "Metronidazole". The American Society of Health-System Pharmacists. Retrieved 31 July 2015. ^ a b Chemical Analysis of Antibiotic Residues in Food (PDF). John Wiley & Sons, Inc. 2012. pp. 1–60. ISBN 978-1-4496-1459-1. ^ "General Background: Antibiotic Agents". Alliance for the Prudent Use of Antibiotics. Retrieved 21 December 2014. ^ Gould, K (2016). "Antibiotics: From prehistory to the present day". Journal of Antimicrobial Chemotherapy. 71 (3): 572–575. doi:10.1093/jac/dkv484. ^ Gualerzi CO, Brandi L, Fabbretti A, Pon CL (4 December 2013). Antibiotics: Targets, Mechanisms and Resistance. John Wiley & Sons. p. 1. ISBN 978-3-527-33305-9. ^ Brooks M (16 November 2015). "Public Confused About Antibiotic Resistance, WHO Says". Medscape Multispeciality. Retrieved 21 November 2015. ^ Antimicrobial resistance: global report on surveillance (PDF). The World Health Organization. April 2014. ISBN 978-92-4-156474-8. Retrieved 13 June 2016. ^ a b c Antibiotics Simplified. Jones & Bartlett Publishers. 2011. pp. 15–17. ISBN 978-1-4496-1459-1. ^ a b c d Leekha S, Terrell CL, Edson RS (February 2011). "General principles of antimicrobial therapy". Mayo Clinic Proceedings. 86 (2): 156–67. doi:10.4065/mcp.2010.0639. PMC 3031442. PMID 21282489. ^ Rollins KE, Varadhan KK, Neal KR, Lobo DN (October 2016). "Antibiotics Versus Appendicectomy for the Treatment of Uncomplicated Acute Appendicitis: An Updated Meta-Analysis of Randomised Controlled Trials". World Journal of Surgery. 40 (10): 2305–18. doi:10.1007/s00268-016-3561-7. PMID 27199000. ^ Flowers CR, Seidenfeld J, Bow EJ, Karten C, Gleason C, Hawley DK, Kuderer NM, Langston AA, Marr KA, Rolston KV, Ramsey SD (February 2013). "Antimicrobial prophylaxis and outpatient management of fever and neutropenia in adults treated for malignancy: American Society of Clinical Oncology clinical practice guideline". Journal of Clinical Oncology. 31 (6): 794–810. doi:10.1200/JCO.2012.45.8661. PMID 23319691. ^ Bow EJ (July 2013). "Infection in neutropenic patients with cancer". Critical Care Clinics. 29 (3): 411–41. doi:10.1016/j.ccc.2013.03.002. PMID 23830647. ^ Pangilinan R, Tice A, Tillotson G (October 2009). "Topical antibiotic treatment for uncomplicated skin and skin structure infections: review of the literature". Expert Review of Anti-Infective Therapy. 7 (8): 957–65. doi:10.1586/eri.09.74. PMID 19803705. ^ a b Lipsky BA, Hoey C (November 2009). "Topical antimicrobial therapy for treating chronic wounds". Clinical Infectious Diseases. 49 (10): 1541–9. doi:10.1086/644732. PMID 19842981. ^ Heal CF, Banks JL, Lepper PD, Kontopantelis E, van Driel ML (November 2016). "Topical antibiotics for preventing surgical site infection in wounds healing by primary intention" (PDF). The Cochrane Database of Systematic Reviews. 11 (11): CD011426. doi:10.1002/14651858.CD011426.pub2. PMID 27819748. ^ "UK antibiotic consumption twice that of the Netherlands, WHO report finds". Pharmaceutical Journal. 14 November 2018. Retrieved 22 December 2018. ^ a b c Slama TG, Amin A, Brunton SA, File TM, Milkovich G, Rodvold KA, Sahm DF, Varon J, Weiland D (July 2005). "A clinician's guide to the appropriate and accurate use of antibiotics: the Council for Appropriate and Rational Antibiotic Therapy (CARAT) criteria". The American Journal of Medicine. 118 Suppl 7A (7): 1S–6S. doi:10.1016/j.amjmed.2005.05.007. PMID 15993671. ^ Slama, T. G.; Amin, A.; Brunton, S. A.; File Jr, T. M.; Milkovich, G.; Rodvold, K. A.; Sahm, D. F.; Varon, J.; Weiland Jr, D.; Council for Appropriate Rational Antibiotic Therapy (CARAT) (2005). "A clinician's guide to the appropriate and accurate use of antibiotics: The Council for Appropriate and Rational Antibiotic Therapy (CARAT) criteria". The American Journal of Medicine. 118 Suppl 7A (7): 1S–6S. doi:10.1016/j.amjmed.2005.05.007. PMID 15993671. ^ "Antibiotics – Side effects". NHS Choices. National Health Service (NHS), UK. 6 May 2014. Retrieved 6 February 2016. ^ "Antibiotic-Associated Diarrhea – All you should know". Retrieved 28 December 2014. ^ Pirotta MV, Garland SM (September 2006). "Genital Candida species detected in samples from women in Melbourne, Australia, before and after treatment with antibiotics". Journal of Clinical Microbiology. 44 (9): 3213–7. doi:10.1128/JCM.00218-06. PMC 1594690. PMID 16954250. ^ Lewis T, Cook J (1 January 2014). "Fluoroquinolones and tendinopathy: a guide for athletes and sports clinicians and a systematic review of the literature". Journal of Athletic Training. 49 (3): 422–7. doi:10.4085/1062-6050-49.2.09. PMC 4080593. PMID 24762232. ^ Ray K (November 2012). "Gut microbiota: adding weight to the microbiota's role in obesity--exposure to antibiotics early in life can lead to increased adiposity". Nature Reviews. Endocrinology. 8 (11): 623. doi:10.1038/nrendo.2012.173. PMID 22965166. ^ a b Jess T (December 2014). "Microbiota, antibiotics, and obesity". The New England Journal of Medicine. 371 (26): 2526–8. doi:10.1056/NEJMcibr1409799. PMID 25539109. ^ Cho I, Yamanishi S, Cox L, Methé BA, Zavadil J, Li K, Gao Z, Mahana D, Raju K, Teitler I, Li H, Alekseyenko AV, Blaser MJ (August 2012). "Antibiotics in early life alter the murine colonic microbiome and adiposity". Nature. 488 (7413): 621–6. Bibcode:2012Natur.488..621C. doi:10.1038/nature11400. PMC 3553221. PMID 22914093. ^ a b Cox LM, Yamanishi S, Sohn J, Alekseyenko AV, Leung JM, Cho I, Kim SG, Li H, Gao Z, Mahana D, Zárate Rodriguez JG, Rogers AB, Robine N, Loke P, Blaser MJ (August 2014). "Altering the intestinal microbiota during a critical developmental window has lasting metabolic consequences". Cell. 158 (4): 705–721. doi:10.1016/j.cell.2014.05.052. PMC 4134513. PMID 25126780. ^ Trasande L, Blustein J, Liu M, Corwin E, Cox LM, Blaser MJ (January 2013). "Infant antibiotic exposures and early-life body mass". International Journal of Obesity. 37 (1): 16–23. doi:10.1038/ijo.2012.132. PMC 3798029. PMID 22907693. ^ Thorpe K, Staton S, Sawyer E, Pattinson C, Haden C, Smith S (July 2015). "Napping, development and health from 0 to 5 years: a systematic review". Archives of Disease in Childhood. 100 (7): 615–22. doi:10.1136/archdischild-2014-307241. PMID 25691291. ^ a b c d Anderson KC, Schwartz MD, Lieu SO (January 2013). "Antibiotics and OC effectiveness". Jaapa. 26 (1): 11. doi:10.1097/01720610-201301000-00002. PMID 23355994. ^ a b c Weaver K, Glasier A (February 1999). "Interaction between broad-spectrum antibiotics and the combined oral contraceptive pill. A literature review". Contraception. 59 (2): 71–8. doi:10.1016/S0010-7824(99)00009-8. PMID 10361620. ^ Weisberg E (May 1999). "Interactions between oral contraceptives and antifungals/antibacterials. Is contraceptive failure the result?". Clinical Pharmacokinetics. 36 (5): 309–13. doi:10.2165/00003088-199936050-00001. PMID 10384856. ^ Hassan T (March 1987). "Pharmacologic considerations for patients taking oral contraceptives". Connecticut Dental Student Journal. 7: 7–8. PMID 3155374. ^ Orme ML, Back DJ (December 1990). "Factors affecting the enterohepatic circulation of oral contraceptive steroids". American Journal of Obstetrics and Gynecology. 163 (6 Pt 2): 2146–52. doi:10.1016/0002-9378(90)90555-L. PMID 2256523. Archived from the original on 18 November 2010. ^ Lwanga J, Mears, Bingham JS, Bradbeer CS (2008). "Do antibiotics and alcohol mix? The beliefs of genitourinary clinic attendees". BMJ. 337: a2885. doi:10.1136/bmj.a2885. ^ a b "Can I drink alcohol while taking antibiotics?". NHS Direct (UK electronic health service). Archived from the original on 18 November 2010. Retrieved 17 February 2008. ^ Moore AA, Whiteman EJ, Ward KT (March 2007). "Risks of combined alcohol/medication use in older adults". The American Journal of Geriatric Pharmacotherapy. 5 (1): 64–74. doi:10.1016/j.amjopharm.2007.03.006. PMC 4063202. PMID 17608249. 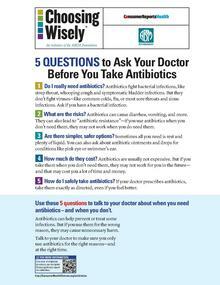 ^ a b "Antibiotics FAQ". McGill University, Canada. Archived from the original on 16 February 2008. Retrieved 17 February 2008. ^ Arianna Di Lorenzo (2016). "Effect of Winemaking on the Composition of Red Wine as a Source of Polyphenols for Anti-Infective Biomaterials". Materials (Basel). 9 (5): 316. Bibcode:2016Mate....9..316D. doi:10.3390/ma9050316. PMC 5503068. PMID 28773444. ^ a b c Pankey GA, Sabath LD (March 2004). "Clinical relevance of bacteriostatic versus bactericidal mechanisms of action in the treatment of Gram-positive bacterial infections". Clinical Infectious Diseases. 38 (6): 864–70. doi:10.1086/381972. PMID 14999632. ^ Mascio CT, Alder JD, Silverman JA (December 2007). "Bactericidal action of daptomycin against stationary-phase and nondividing Staphylococcus aureus cells". Antimicrobial Agents and Chemotherapy. 51 (12): 4255–60. doi:10.1128/AAC.00824-07. PMC 2167999. PMID 17923487. ^ Pelczar MJ, Chan EC, Krieg NR (2010). "Host-Parasite Interaction; Nonspecific Host Resistance". Microbiology Concepts and Applications (6th ed.). New York: McGraw-Hill. pp. 478–479. ^ Rhee KY, Gardiner DF (September 2004). "Clinical relevance of bacteriostatic versus bactericidal activity in the treatment of gram-positive bacterial infections". Clinical Infectious Diseases. 39 (5): 755–6. doi:10.1086/422881. PMID 15356797. ^ Wiegand I, Hilpert K, Hancock RE (January 2008). "Agar and broth dilution methods to determine the minimal inhibitory concentration (MIC) of antimicrobial substances". Nature Protocols. 3 (2): 163–75. doi:10.1038/nprot.2007.521. PMID 18274517. ^ Dalhoff A, Ambrose PG, Mouton JW (August 2009). "A long journey from minimum inhibitory concentration testing to clinically predictive breakpoints: deterministic and probabilistic approaches in deriving breakpoints". Infection. 37 (4): 296–305. doi:10.1007/s15010-009-7108-9. PMID 19629383. ^ a b c d Ocampo PS, Lázár V, Papp B, Arnoldini M, Abel zur Wiesch P, Busa-Fekete R, Fekete G, Pál C, Ackermann M, Bonhoeffer S (August 2014). "Antagonism between bacteriostatic and bactericidal antibiotics is prevalent". Antimicrobial Agents and Chemotherapy. 58 (8): 4573–82. doi:10.1128/AAC.02463-14. PMC 4135978. PMID 24867991. ^ a b Bollenbach T (October 2015). "Antimicrobial interactions: mechanisms and implications for drug discovery and resistance evolution". Current Opinion in Microbiology. 27: 1–9. doi:10.1016/j.mib.2015.05.008. PMID 26042389. ^ "antagonism". Retrieved 25 August 2014. ^ Finberg RW, Moellering RC, Tally FP, Craig WA, Pankey GA, Dellinger EP, West MA, Joshi M, Linden PK, Rolston KV, Rotschafer JC, Rybak MJ (November 2004). "The importance of bactericidal drugs: future directions in infectious disease". Clinical Infectious Diseases. 39 (9): 1314–20. doi:10.1086/425009. PMID 15494908. ^ Cunha BA (2009). Antibiotic Essentials. Jones & Bartlett Learning. p. 180. ISBN 978-0-7637-7219-2. ^ Srivastava A, Talaue M, Liu S, Degen D, Ebright RY, Sineva E, Chakraborty A, Druzhinin SY, Chatterjee S, Mukhopadhyay J, Ebright YW, Zozula A, Shen J, Sengupta S, Niedfeldt RR, Xin C, Kaneko T, Irschik H, Jansen R, Donadio S, Connell N, Ebright RH (October 2011). "New target for inhibition of bacterial RNA polymerase: 'switch region'". Current Opinion in Microbiology. 14 (5): 532–43. doi:10.1016/j.mib.2011.07.030. PMC 3196380. PMID 21862392. ^ a b von Nussbaum F, Brands M, Hinzen B, Weigand S, Häbich D (August 2006). 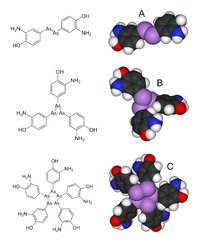 "Antibacterial natural products in medicinal chemistry--exodus or revival?". Angewandte Chemie. 45 (31): 5072–129. doi:10.1002/anie.200600350. PMID 16881035. ^ Dougherty TJ, Pucci MJ (2011). Antibiotic Discovery and Development. Springer. p. 800. ISBN 978-1-4614-1400-1. ^ Levy SB (October 1994). "Balancing the drug-resistance equation". Trends in Microbiology. 2 (10): 341–2. doi:10.1016/0966-842X(94)90607-6. PMID 7850197. ^ Luria SE, Delbrück M (November 1943). "Mutations of Bacteria from Virus Sensitivity to Virus Resistance". Genetics. 28 (6): 491–511. PMC 1209226. PMID 17247100. Archived from the original on 18 November 2010. ^ a b Pearson, Carol (28 February 2007). "Antibiotic Resistance Fast-Growing Problem Worldwide". Voice of America. Archived from the original on 2 December 2008. Retrieved 29 December 2008. ^ Topp E, Chapman R, Devers-Lamrani M, Hartmann A, Marti R, Martin-Laurent F, Sabourin L, Scott A, Sumarah M (2013). "Accelerated Biodegradation of Veterinary Antibiotics in Agricultural Soil following Long-Term Exposure, and Isolation of a Sulfamethazine-degrading sp". Journal of Environmental Quality. 42 (1): 173–8. doi:10.2134/jeq2012.0162. PMID 23673752. ^ a b c Witte W (September 2004). "International dissemination of antibiotic resistant strains of bacterial pathogens". Infection, Genetics and Evolution. 4 (3): 187–91. doi:10.1016/j.meegid.2003.12.005. PMID 15450197. ^ Dyer, Betsey Dexter (2003). "Chapter 9, Pathogens". A Field Guide To Bacteria. Cornell University Press. ISBN 978-0-8014-8854-2. ^ Andersson DI (October 2006). "The biological cost of mutational antibiotic resistance: any practical conclusions?". Current Opinion in Microbiology. 9 (5): 461–5. doi:10.1016/j.mib.2006.07.002. PMID 16890008. ^ D'Costa VM, King CE, Kalan L, Morar M, Sung WW, Schwarz C, Froese D, Zazula G, Calmels F, Debruyne R, Golding GB, Poinar HN, Wright GD (August 2011). "Antibiotic resistance is ancient". Nature. 477 (7365): 457–61. Bibcode:2011Natur.477..457D. doi:10.1038/nature10388. PMID 21881561. ^ Gladki A, Kaczanowski S, Szczesny P, Zielenkiewicz P (February 2013). "The evolutionary rate of antibacterial drug targets". BMC Bioinformatics. 14 (1): 36. doi:10.1186/1471-2105-14-36. PMC 3598507. PMID 23374913. ^ a b Alekshun MN, Levy SB (March 2007). "Molecular mechanisms of antibacterial multidrug resistance". Cell. 128 (6): 1037–50. doi:10.1016/j.cell.2007.03.004. PMID 17382878. ^ Pawlowski AC, Wang W, Koteva K, Barton HA, McArthur AG, Wright GD (December 2016). "A diverse intrinsic antibiotic resistome from a cave bacterium". Nature Communications. 7: 13803. Bibcode:2016NatCo...713803P. doi:10.1038/ncomms13803. PMC 5155152. PMID 27929110. ^ Marshall CG, Lessard IA, Park I, Wright GD (September 1998). "Glycopeptide antibiotic resistance genes in glycopeptide-producing organisms". Antimicrobial Agents and Chemotherapy. 42 (9): 2215–20. doi:10.1128/AAC.42.9.2215. PMC 105782. PMID 9736537. Archived from the original on 18 November 2010. ^ Nikaido H (February 2009). "Multidrug resistance in bacteria". Annual Review of Biochemistry. 78 (1): 119–46. doi:10.1146/annurev.biochem.78.082907.145923. PMC 2839888. PMID 19231985. ^ a b c Baker-Austin C, Wright MS, Stepanauskas R, McArthur JV (April 2006). "Co-selection of antibiotic and metal resistance". Trends in Microbiology. 14 (4): 176–82. doi:10.1016/j.tim.2006.02.006. PMID 16537105. ^ "Health ministers to accelerate efforts against drug-resistant TB". World Health Organization (WHO). ^ Boseley, Sarah (12 August 2010). "Are you ready for a world without antibiotics?". The Guardian. London. Archived from the original on 18 November 2010. ^ "Health Protection Report". Health Protection Agency. 3 July 2009. Archived from the original on 18 November 2010. ^ McGann P, Snesrud E, Maybank R, Corey B, Ong AC, Clifford R, Hinkle M, Whitman T, Lesho E, Schaecher KE (July 2016). "Escherichia coli Harboring mcr-1 and blaCTX-M on a Novel IncF Plasmid: First Report of mcr-1 in the United States". Antimicrobial Agents and Chemotherapy. 60 (7): 4420–1. doi:10.1128/AAC.01103-16. PMC 4914657. PMID 27230792. ^ Moyer, Melinda Wenner. 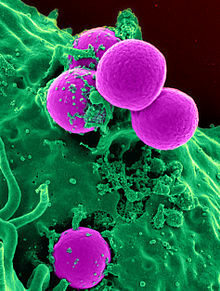 "Dangerous New Antibiotic-Resistant Bacteria Reach U.S." Scientific American. Retrieved 27 May 2016. ^ Marino PL (2007). "Antimicrobial therapy". The ICU book. Hagerstown, MD: Lippincott Williams & Wilkins. p. 817. ISBN 978-0-7817-4802-5. ^ a b c Larson E (2007). "Community factors in the development of antibiotic resistance". Annual Review of Public Health. 28 (1): 435–47. doi:10.1146/annurev.publhealth.28.021406.144020. PMID 17094768. ^ a b Hawkey PM (September 2008). "The growing burden of antimicrobial resistance". The Journal of Antimicrobial Chemotherapy. 62 Suppl 1 (Supplement 1): i1–9. CiteSeerX 10.1.1.629.3960. doi:10.1093/jac/dkn241. PMID 18684701. ^ Ong S, Nakase J, Moran GJ, Karras DJ, Kuehnert MJ, Talan DA (September 2007). "Antibiotic use for emergency department patients with upper respiratory infections: prescribing practices, patient expectations, and patient satisfaction". Annals of Emergency Medicine. 50 (3): 213–20. doi:10.1016/j.annemergmed.2007.03.026. PMID 17467120. ^ Metlay JP, Camargo CA, MacKenzie T, McCulloch C, Maselli J, Levin SK, Kersey A, Gonzales R (September 2007). "Cluster-randomized trial to improve antibiotic use for adults with acute respiratory infections treated in emergency departments". Annals of Emergency Medicine. 50 (3): 221–30. doi:10.1016/j.annemergmed.2007.03.022. PMID 17509729. ^ Coxeter P, Del Mar CB, McGregor L, Beller EM, Hoffmann TC (November 2015). "Interventions to facilitate shared decision making to address antibiotic use for acute respiratory infections in primary care". The Cochrane Database of Systematic Reviews. 11 (11): CD010907. doi:10.1002/14651858.CD010907.pub2. PMID 26560888. ^ "." Centers for Disease Control and Prevention. Retrieved 12 March 2009. ^ "Keep Antibiotics Working". Keep Antibiotics Working. Archived from the original on 18 November 2010. Retrieved 21 May 2010. ^ Sabuncu E, David J, Bernède-Bauduin C, Pépin S, Leroy M, Boëlle PY, Watier L, Guillemot D (June 2009). Klugman KP, ed. "Significant reduction of antibiotic use in the community after a nationwide campaign in France, 2002-2007". PLoS Medicine. 6 (6): e1000084. doi:10.1371/journal.pmed.1000084. PMC 2683932. PMID 19492093. ^ "Regulation (EC) No 1831/2003 of the European Parliament and of the Council". Archived from the original on 9 January 2009. ^ a b "Preservation of Antibiotics for Medical Treatment Act of 2005 (2005 - S. 742)". GovTrack.us. Retrieved 15 April 2019. ^ a b "Preservation of Antibiotics for Medical Treatment Act of 2005 (2005 - H.R. 2562)". GovTrack.us. Retrieved 15 April 2019. ^ "Kee Antibiotics Working" (PDF). Archived from the original (PDF) on 25 March 2009. Retrieved 12 November 2008. ^ "Despite Pledges To Cut Back, Farms Are Still Using Antibiotics". npr.org. ^ John Gever (23 March 2012). "FDA Told to Move on Antibiotic Use in Livestock". MedPage Today. Retrieved 24 March 2012. ^ Lindblad WJ (June 2008). "Considerations for determining if a natural product is an effective wound-healing agent". The International Journal of Lower Extremity Wounds. 7 (2): 75–81. doi:10.1177/1534734608316028. PMID 18483011. ^ Forrest RD (March 1982). "Early history of wound treatment". Journal of the Royal Society of Medicine. 75 (3): 198–205. PMC 1437561. PMID 7040656. ^ Wainwright M (1989). "Moulds in ancient and more recent medicine". Mycologist. 3 (1): 21–23. doi:10.1016/S0269-915X(89)80010-2. ^ a b Limbird LE (December 2004). "The receptor concept: a continuing evolution". Molecular Interventions. 4 (6): 326–36. doi:10.1124/mi.4.6.6. PMID 15616162. ^ a b c Bosch F, Rosich L (2008). "The contributions of Paul Ehrlich to pharmacology: a tribute on the occasion of the centenary of his Nobel Prize". Pharmacology. 82 (3): 171–9. doi:10.1159/000149583. PMC 2790789. PMID 18679046. ^ a b Williams KJ (August 2009). "The introduction of 'chemotherapy' using arsphenamine - the first magic bullet". Journal of the Royal Society of Medicine. 102 (8): 343–8. doi:10.1258/jrsm.2009.09k036. PMC 2726818. PMID 19679737. ^ a b c Goodman LS, Gilman A (1941). The Pharmacological Basis of Therapeutics. New York: Macmillan. ^ a b Frith J. "Arsenic – the "Poison of Kings" and the "Saviour of Syphilis"". Journal of Military and Veterans' Health. 21 (4). Retrieved 31 January 2017. ^ "The Nobel Prize in Physiology or Medicine 1908". NobelPrize.org. ^ a b Aminov RI (2010). "A brief history of the antibiotic era: lessons learned and challenges for the future". Frontiers in Microbiology. 1: 134. doi:10.3389/fmicb.2010.00134. PMC 3109405. PMID 21687759. ^ "Physiology or Medicine 1939 – Presentation Speech". Nobel Foundation. Retrieved 14 January 2015. ^ Wright PM, Seiple IB, Myers AG (August 2014). "The evolving role of chemical synthesis in antibacterial drug discovery". Angewandte Chemie. 53 (34): 8840–69. doi:10.1002/anie.201310843. PMC 4536949. PMID 24990531. ^ Aminov RI (1 January 2010). "A brief history of the antibiotic era: lessons learned and challenges for the future". Frontiers in Microbiology. 1: 134. doi:10.3389/fmicb.2010.00134. PMC 3109405. PMID 21687759. ^ Kingston W (June 2008). "Irish contributions to the origins of antibiotics". Irish Journal of Medical Science. 177 (2): 87–92. doi:10.1007/s11845-008-0139-x. PMID 18347757. ^ Foster W, Raoult A (December 1974). "Early descriptions of antibiosis". The Journal of the Royal College of General Practitioners. 24 (149): 889–94. PMC 2157443. PMID 4618289. the first scientific observations of the antagonistic actions of various micro-organisms were made ... by William Roberts of Manchester (1874) and John Tyndall of London (1876). ^ Foster W, Raoult A (December 1974). "Early descriptions of antibiosis". The Journal of the Royal College of General Practitioners. 24 (149): 889–94. PMC 2157443. PMID 4618289. Both Roberts and Tyndall indicated that the Penicillium molds had some property or had an activity which inhibited bacterial growth. ^ Bucci R, Gallì P (11 May 2012). "Public Health History Corner Vincenzo Tiberio: a misunderstood researcher". Italian Journal of Public Health. 8 (4). ISSN 1723-7815. ^ Duchesne E. Duchesne's Antagonism between molds and bacteria, an English Colloquial Translation. Translated by Witty M. ISBN 978-1-5498-1696-3. ^ a b Straand J, Gradmann C, Simonsen GS, Lindbæk M (2008). International Encyclopedia of Public Health: Antibiotic Development and Resistance. Academic Press. p. 200. Retrieved 31 January 2017. ^ Tan SY, Tatsumura Y (July 2015). "Alexander Fleming (1881-1955): Discoverer of penicillin". Singapore Medical Journal. 56 (7): 366–7. doi:10.11622/smedj.2015105. PMC 4520913. PMID 26243971. ^ Fleming A (1980). "Classics in infectious diseases: on the antibacterial action of cultures of a penicillium, with special reference to their use in the isolation of B. influenzae by Alexander Fleming, Reprinted from the British Journal of Experimental Pathology 10:226-236, 1929". Reviews of Infectious Diseases. 2 (1): 129–39. doi:10.1093/clinids/2.1.129. PMC 2566493. PMID 6994200. ; Reprint of Krylov AK (929). "[Gastroenterologic aspects of the clinical picture of internal diseases]". Terapevticheskii Arkhiv. 63 (2): 139–41. PMC 2048009. PMID 2048009. ^ Sykes R (2001). "Penicillin: from discovery to product". Bulletin of the World Health Organization. 79 (8): 778–9. PMC 2566502. PMID 11545336. ^ Jones DS, Jones JH (1 December 2014). "Sir Edward Penley Abraham CBE. 10 June 1913 – 9 May 1999". Biographical Memoirs of Fellows of the Royal Society. 60: 5–22. doi:10.1098/rsbm.2014.0002. ISSN 0080-4606. ^ Florey HW (November 1945). "Use of Micro-organisms for Therapeutic Purposes". British Medical Journal. 2 (4427): 635–42. doi:10.1136/bmj.2.4427.635. PMC 2060276. PMID 20786386. ^ "The Nobel Prize in Physiology or Medicine 1945". The Nobel Prize Organization. Retrieved 13 January 2018. ^ a b Van Epps HL (February 2006). "René Dubos: unearthing antibiotics". The Journal of Experimental Medicine. 203 (2): 259. doi:10.1084/jem.2032fta. PMC 2118194. PMID 16528813. ^ Capocci M (1 January 2014). "Cold drugs. Circulation, production and intelligence of antibiotics in post-WWII years". Medicina Nei Secoli. 26 (2): 401–21. PMID 26054208. ^ a b c d Saxena S (2015). "Chapter 8: Microbes in Production of Fine Chemicals (Antibiotics, Drugs, Vitamins, and Amino Acids". Applied Microbiology. Springer India. pp. 83–120. doi:10.1007/978-81-322-2259-0. ISBN 978-81-322-2258-3. ^ Foster W, Raoult A (December 1974). "Early descriptions of antibiosis". The Journal of the Royal College of General Practitioners. 24 (149): 889–94. PMC 2157443. PMID 4618289. ^ Landsberg H (1949). "Prelude to the discovery of penicillin". Isis. 40 (3): 225–7. doi:10.1086/349043. ^ a b Waksman SA (1947). "What is an antibiotic or an antibiotic substance?". Mycologia. 39 (5): 565–9. doi:10.2307/3755196. JSTOR 3755196. PMID 20264541. ^ Scholar EM, Pratt WB (2000). The Antimicrobial Drugs. Oxford University Press, US. p. 3. ISBN 978-0-19-512529-0. ^ Davies J, Davies D (September 2010). "Origins and evolution of antibiotic resistance". Microbiology and Molecular Biology Reviews. 74 (3): 417–33. doi:10.1128/MMBR.00016-10. PMC 2937522. PMID 20805405. ^ Liddell HG, Scott R (eds.). "βιωτικός". A Greek-English Lexicon – via Perseus Project. ^ Liddell HG, Scott R (eds.). "βίωσις". A Greek-English Lexicon – via Perseus Project. ^ Liddell HG, Scott R (eds.). "βίος". A Greek-English Lexicon – via Perseus Project. ^ Liddell HG, Scott R (eds.). "ἀντί". A Greek-English Lexicon – via Perseus Project. ^ Liddell HG, Scott R (eds.). "βακτηρία". A Greek-English Lexicon – via Perseus Project. ^ a b Moloney MG (August 2016). "Natural Products as a Source for Novel Antibiotics". Trends in Pharmacological Sciences. 37 (8): 689–701. doi:10.1016/j.tips.2016.05.001. PMID 27267698. ^ Abedon ST, Kuhl SJ, Blasdel BG, Kutter EM (March 2011). "Phage treatment of human infections". Bacteriophage. 1 (2): 66–85. doi:10.4161/bact.1.2.15845. PMC 3278644. PMID 22334863. ^ Czaplewski L, Bax R, Clokie M, Dawson M, Fairhead H, Fischetti VA, Foster S, Gilmore BF, Hancock RE, Harper D, Henderson IR, Hilpert K, Jones BV, Kadioglu A, Knowles D, Ólafsdóttir S, Payne D, Projan S, Shaunak S, Silverman J, Thomas CM, Trust TJ, Warn P, Rex JH (February 2016). "Alternatives to antibiotics-a pipeline portfolio review" (PDF). The Lancet. Infectious Diseases. 16 (2): 239–51. doi:10.1016/S1473-3099(15)00466-1. PMID 26795692. ^ a b Abreu AC, McBain AJ, Simões M (September 2012). "Plants as sources of new antimicrobials and resistance-modifying agents". Natural Product Reports. 29 (9): 1007–21. doi:10.1039/c2np20035j. PMID 22786554. ^ a b Marquez B (December 2005). "Bacterial efflux systems and efflux pumps inhibitors". Biochimie. 87 (12): 1137–47. doi:10.1016/j.biochi.2005.04.012. PMID 15951096. ^ Drawz SM, Bonomo RA (January 2010). "Three decades of beta-lactamase inhibitors". Clinical Microbiology Reviews. 23 (1): 160–201. doi:10.1128/CMR.00037-09. PMC 2806661. PMID 20065329. ^ Allison KR, Brynildsen MP, Collins JJ (May 2011). "Metabolite-enabled eradication of bacterial persisters by aminoglycosides". Nature. 473 (7346): 216–20. Bibcode:2011Natur.473..216A. doi:10.1038/nature10069. PMC 3145328. PMID 21562562. ^ Donald RG, Anderson AS (2011). "Current Strategies for Antibacterial Vaccine development". In Miller AA, Miller PF. Emerging Trends in Antibacterial Discovery: Answering the Call to Arms. Horizon Scientific Press. p. 283. ^ a b c d Gill EE, Franco OL, Hancock RE (January 2015). "Antibiotic adjuvants: diverse strategies for controlling drug-resistant pathogens". Chemical Biology & Drug Design. 85 (1): 56–78. doi:10.1111/cbdd.12478. PMC 4279029. PMID 25393203. ^ a b Sulakvelidze A, Alavidze Z, Morris JG (March 2001). "Bacteriophage therapy". Antimicrobial Agents and Chemotherapy. 45 (3): 649–59. doi:10.1128/aac.45.3.649-659.2001. PMC 90351. PMID 11181338. ^ Opal SM (December 2016). "Non-antibiotic treatments for bacterial diseases in an era of progressive antibiotic resistance". Critical Care. 20 (1): 397. doi:10.1186/s13054-016-1549-1. PMC 5159963. PMID 27978847. ^ a b Cowan MM (October 1999). "Plant products as antimicrobial agents". Clinical Microbiology Reviews. 12 (4): 564–82. doi:10.1128/CMR.12.4.564. PMC 88925. PMID 10515903. ^ Abreu AC, McBain AJ, Simões M (September 2012). "Plants as sources of new antimicrobials and resistance-modifying agents". Natural Product Reports. 29 (9): 1007–21. doi:10.1039/c2np20035j. PMID 22786554. ^ a b Kenny CR, Furey A, Lucey B (2015). "A post-antibiotic era looms: can plant natural product research fill the void?". British Journal of Biomedical Science. 72 (4): 191–200. doi:10.1080/09674845.2015.11665752. PMID 26738402. ^ a b Monte J, Abreu AC, Borges A, Simões LC, Simões M (June 2014). "Antimicrobial Activity of Selected Phytochemicals against Escherichia coli and Staphylococcus aureus and Their Biofilms". Pathogens. 3 (2): 473–98. doi:10.3390/pathogens3020473. PMC 4243457. PMID 25437810. ^ Cushnie TP, Cushnie B, Lamb AJ (November 2014). "Alkaloids: an overview of their antibacterial, antibiotic-enhancing and antivirulence activities". International Journal of Antimicrobial Agents. 44 (5): 377–86. doi:10.1016/j.ijantimicag.2014.06.001. PMID 25130096. ^ Al-Habib A, Al-Saleh E, Safer AM, Afzal M (June 2010). "Bactericidal effect of grape seed extract on methicillin-resistant Staphylococcus aureus (MRSA)". The Journal of Toxicological Sciences. 35 (3): 357–64. doi:10.2131/jts.35.357. PMID 20519844. ^ Smullen J, Koutsou GA, Foster HA, Zumbé A, Storey DM (2007). "The antibacterial activity of plant extracts containing polyphenols against Streptococcus mutans". Caries Research. 41 (5): 342–9. doi:10.1159/000104791. PMID 17713333. ^ Cushnie TP, Lamb AJ (August 2011). "Recent advances in understanding the antibacterial properties of flavonoids". International Journal of Antimicrobial Agents. 38 (2): 99–107. doi:10.1016/j.ijantimicag.2011.02.014. PMID 21514796. ^ a b c d Antibacterial agents in clinical development: an analysis of the antibacterial clinical development pipeline, including tuberculosis. Geneva: World Health Organization; 2017 (WHO/EMP/IAU/2017.12). Licence: CC BY-NC-SA 3.0 IGO. ^ Boucher HW, Talbot GH, Benjamin DK, Bradley J, Guidos RJ, Jones RN, Murray BE, Bonomo RA, Gilbert D (June 2013). "10 x '20 Progress--development of new drugs active against gram-negative bacilli: an update from the Infectious Diseases Society of America". Clinical Infectious Diseases. 56 (12): 1685–94. doi:10.1093/cid/cit152. PMC 3707426. PMID 23599308. ^ Steenhuysen, Julie (18 April 2013). "Drug pipeline for worst superbugs 'on life support': report". Reuters. Retrieved 23 June 2013. ^ a b Boucher HW, Talbot GH, Benjamin DK, Bradley J, Guidos RJ, Jones RN, Murray BE, Bonomo RA, Gilbert D (June 2013). Infectious Diseases Society of America. "10 x '20 Progress--development of new drugs active against gram-negative bacilli: an update from the Infectious Diseases Society of America". Clinical Infectious Diseases. 56 (12): 1685–94. doi:10.1093/cid/cit152. PMC 3707426. PMID 23599308. ^ Liu J, Bedell TA, West JG, Sorensen EJ (June 2016). "Design and Synthesis of Molecular Scaffolds with Anti-infective Activity". Tetrahedron. 72 (25): 3579–3592. doi:10.1016/j.tet.2016.01.044. PMC 4894353. PMID 27284210. ^ a b c Fernandes P, Martens E (June 2017). "Antibiotics in late clinical development". Biochemical Pharmacology. 133: 152–163. doi:10.1016/j.bcp.2016.09.025. PMID 27687641. ^ Stynes, T. Tetraphase Pharma's Eravacycline Gets Qualified-Infectious-Disease-Product Status. Wall Street J. Monday, 15 July 2013. ^ Osbourn A, Goss RJ, Carter GT (28 March 2014). "Discovery and Development of NVB302, a Semisynthetic Antibiotic for Treatment of Clostridium difficile Infection". Natural Products: Discourse, Diversity, and Design. John Wiley & Sons. pp. 455–468. doi:10.1002/9781118794623.ch24. ISBN 978-1-118-79462-3. ^ "Antibiotic Development to Advance Patient Treatment Act of 2013" (PDF). US Congress. 12 December 2013. ^ Clarke T (2014-09-19). "U.S. Congress urged to pass bill to speed development of antibiotics". Reuters. Reuters. Retrieved 19 September 2014. Davies J, Davies D (September 2010). "Origins and evolution of antibiotic resistance". Microbiology and Molecular Biology Reviews. 74 (3): 417–33. doi:10.1128/MMBR.00016-10. PMC 2937522. PMID 20805405. "Antibiotics: MedlinePlus". NIH.gov. Retrieved 19 July 2016. "WHO's first global report on antibiotic resistance reveals serious, worldwide threat to public health". WHO. Pugh R, Grant C, Cooke RP, Dempsey G (August 2015). "Short-course versus prolonged-course antibiotic therapy for hospital-acquired pneumonia in critically ill adults". The Cochrane Database of Systematic Reviews (8): CD007577. doi:10.1002/14651858.CD007577.pub3. PMID 26301604. Giedraitienė A, Vitkauskienė A, Naginienė R, Pavilonis A (1 January 2011). "Antibiotic resistance mechanisms of clinically important bacteria". Medicina. 47 (3): 137–46. PMID 21822035. Wikimedia Commons has media related to Antibiotics. ^ Gould, K (2016). "Antibiotics: From prehistory to the present day". Journal of Antimicrobial Chemotherapy. 71 (3): 572–575. Retrieved 20 February 2019.